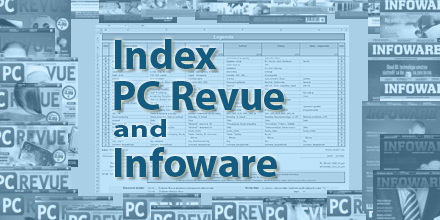 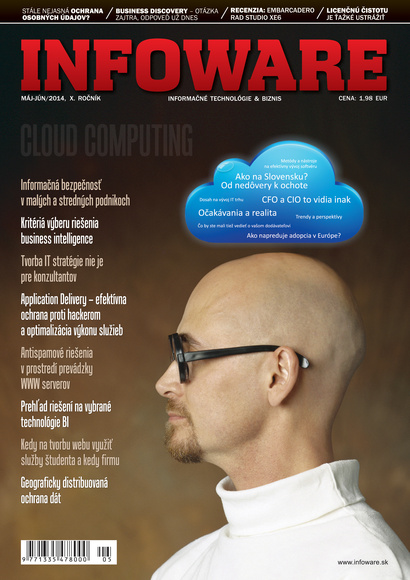 List of the most interesting articles and programming courses of professional IT magazine PC REVUE and INFOWARE. The list was created based on the requirements for fast searching and processing information. 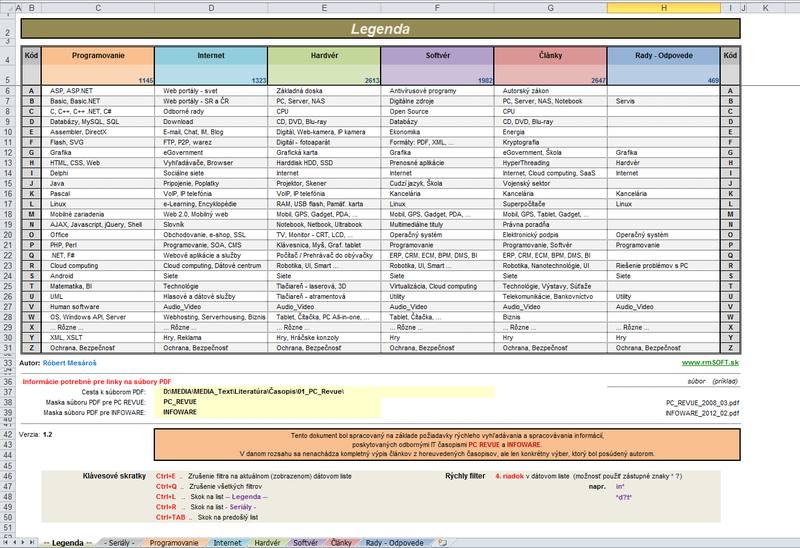 The document is processed in Excel using VBA. 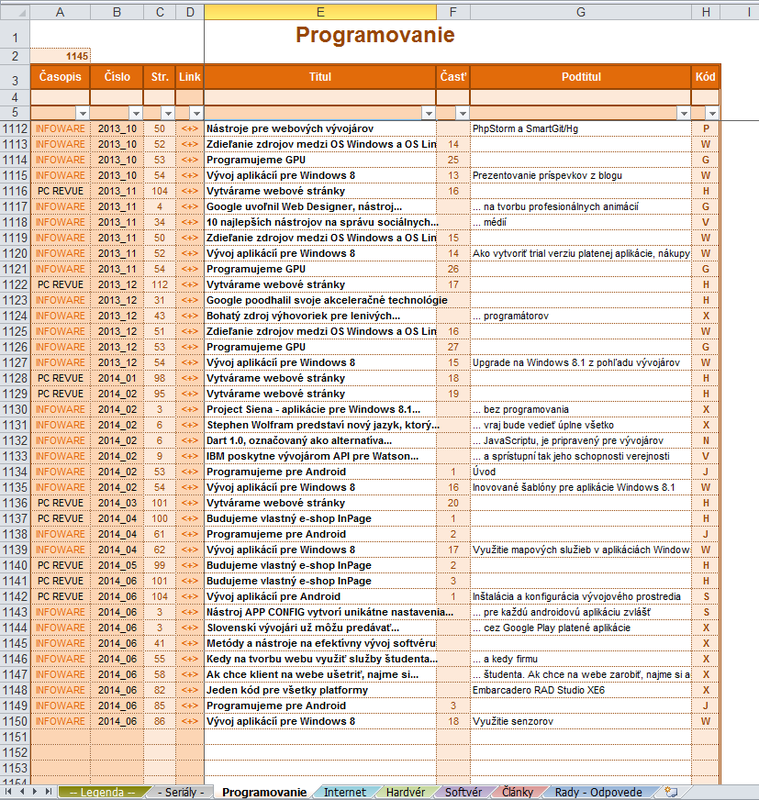 The scope of information processed 2002/11 - 2015/02. 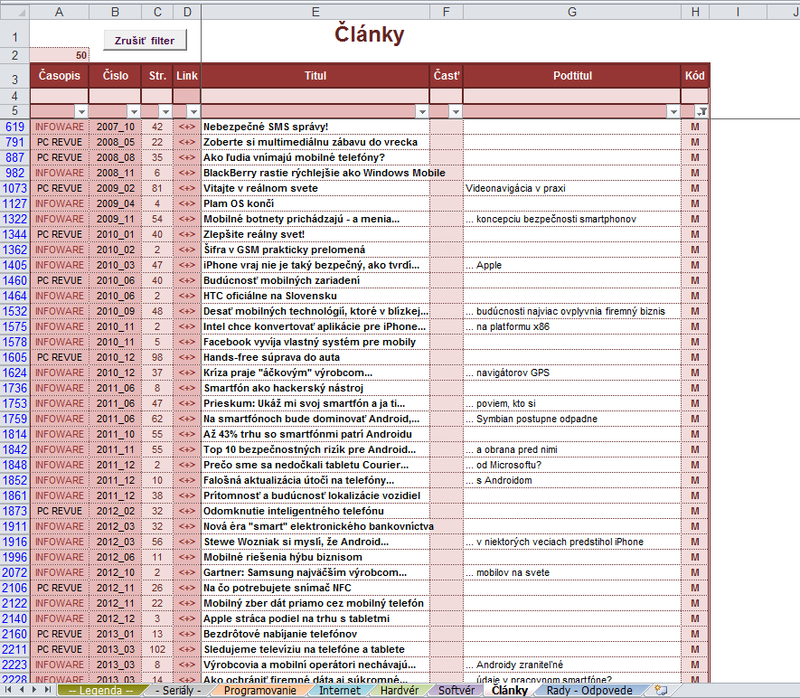 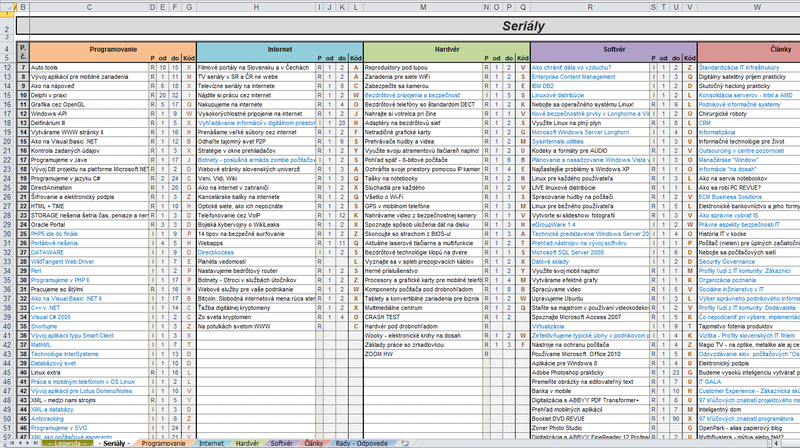 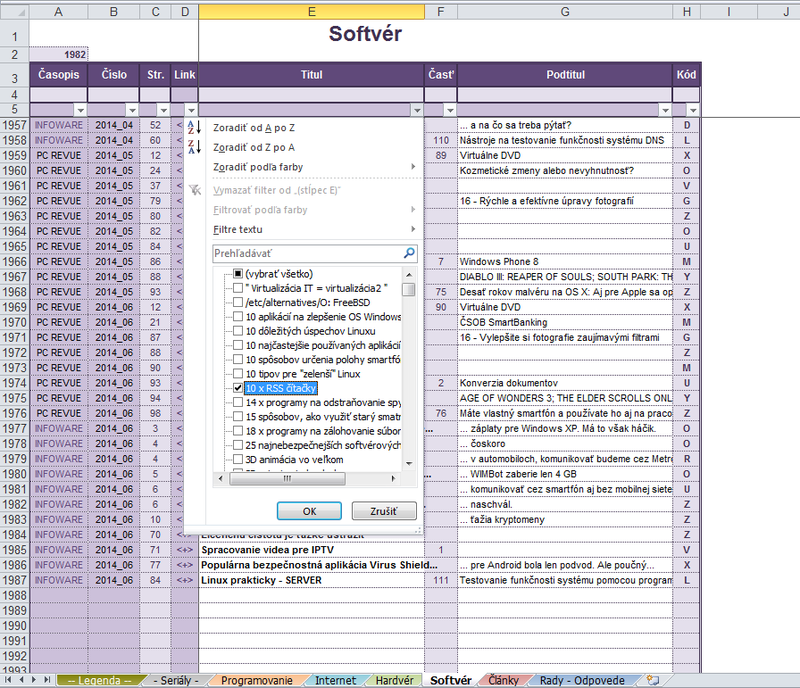 List of data can be efficiently processed to filter, sort, edit and display different views.